Hi, everybody! 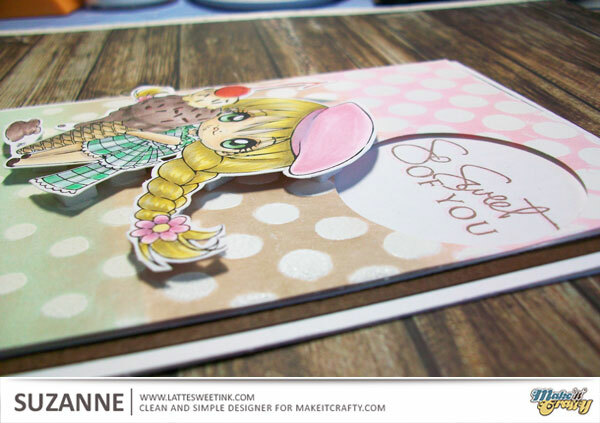 The Clean and Simple Team’s May background challenge is winding down at the Make It Crafty inspiration blog, and I have another card to share featuring the Frenchie Valerie digi stamp to inspire you to join in! Click HERE to check it out! For all of the details on this challenge, and to link up your entry, click HERE to visit the challenge post at the Make It Crafty blog.